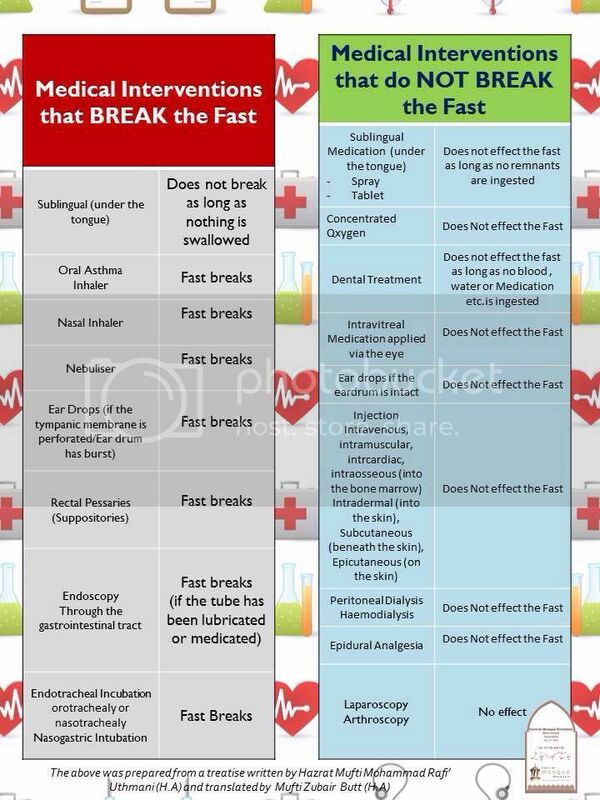 The following are the medical interventions that affect fasting as per Hanafi fiqh. I have compiled a comprehensive list on my website for health care professionals and also info for general public. Please have a look. Any constructive comments welcome. With Ramadan 1440 fast approaching I have updated the database of things which effect the validity of the fast. Wa alaykum as salam wa rahmatullah. Jazakallah for your post. The first two links are very informative. This forum is Sunni Hanafi Deobandi with regards to fiqhi matters. The third link you have provided makes it difficult for a common muqallid person like me to understand what the ruling is, but I appreciate the effort you put in. The lists are comprehensive so as to provide a quick reference for all Muslims around the world with particular emphasis on medical issues. Researchers puzzled over widespread vitamin B shortage that's killing wildlife. Is it true that the deserts are turning green?